“Diamonds Are a Girl’s Best Friend” famously sang Marilyn Monroe in the film Gentlemen Prefer Blondes, as did Nicole Kidman in Moulin Rouge. While a girl might find it thrilling to flaunt her wealth and social status through a set of diamonds, a woman often has far more personal reasons behind her fascination with jewelry. A piece of jewelry is mostly valuable because of what it represents. Often, that ornament is the token symbol of commitment, fidelity and love that accompanies one’s marriage vows. At other times, it is the symbol of care and affection inherited from grandparents. And sometimes, it is merely an emblem of self-appreciation picked and bought as a gift for oneself. No matter how big or small, sophisticated or simple, exorbitantly or reasonably priced the accessory might be, it ultimately becomes priceless because of the special feeling it creates. Yet, no piece of mass produced jewelry has the power to make someone feel so absolutely unique as one that is minutely tailored to their own personality. Ever since its founding by Joseph Tabbah in 1862, the Lebanese family-owned jewelry manufacturer House of Tabbah has been offering women exclusive personalized pieces. For five consecutive generations, spanning over 150 years, Tabbah has been a pioneer of the jewelry business, dedicated to crafting original pieces reflective of the company’s passion and craftsmanship. Today, fourth generation Nabil Tabbah and his son Nagib run the family business together and form the harmonious creative duo behind each of House of Tabbah’s unique designs. One can easily sense that their knowledge goes far beyond the luxurious world of gemstones. They are both driven by a genuine desire and commitment to accentuate their clients’ individuality, turning it into the specific creation they wish for. “The clients who come to us, come with a desire to create something personalized,” says Nabil. Unlike other international jewelry houses that end up being bought by huge companies, House of Tabbah does not prioritize financial goals. It is not motivated by an aspiration to increase sales by opening boutiques in strategic locations. That fact not only speaks to Tabbah’s valued independence in terms of creation, vision and decision, but also shows that it truly puts the client at the forefront of its concern. “Tabbah’s raison d’être is bespoke. Create a unique piece for a unique client, that is the House’s DNA,” affirms Nagib. Indeed, the House’s revenues, which are distinctly and essentially generated from the sale of bespoke pieces, reflect this. Although it is not an easy task to subtly evaluate people in an attempt to grasp their intricate personality, the pair’s emotional sensibility, artistic flair and human experience offer them superb guidance. The design suggested becomes the result of a special creative process which holds a particular essence of the person for whom it was designed. This set-up allows not only full control of the production process but also flexibility, and most importantly, containment of the designs, as exclusivity and discretion are two of the principles most cherished by the house. And these qualities are surely appreciated by all of House of Tabbah’s clients who not only rejoice in wearing their bespoke Tabbah jewelry but who also rely on the family to purchase precious stones for their private collections from international auction houses such as Christie’s and Sotheby’s. “Our clientele trusts us. That’s why when our clients come across auctioned precious stones that they would personally like to purchase, they ask us to fill in for them in the bidding process. They know that we can somehow protect them from the possible mischiefs that usually take place during auctions and get them the best price. We know the difference between a bidder who can actually pay the price he is announcing and the one who is only trying to raise the price. In these cases our name isn’t disclosed and appears only in the auction house’s accountancy books.” Explains Nabil. Actually, since the early 1980s, Nabil Tabbah earned an international reputation and was recognized as one of the world’s most respected buyers of stones. He acquired some historically prestigious stones, such as “The Zale Light Of Peace”, “The Red Cross”, “The Jonker”, “The Ashberg” and “The Blue Lily”, among others. The House likes to preserve the aura of discretion that fits the beautiful world it exists in and never shares any of its clients designs, unless the latter requests it. The House of Tabbah enjoyed global hype when Mouna Ayoub – the renowned French socialite and business woman of Lebanese origins – put up most of her personal Tabbah jewelry collection for sale at Christie’s in 1996 after her divorce from the businessman and influential advisor to the Saudi royal family, Nasser Al Rashid. 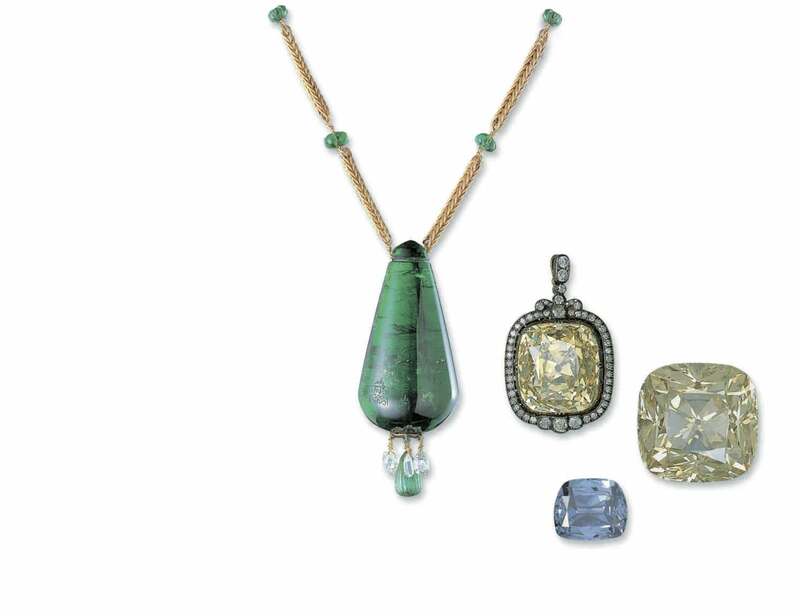 Ayoub’s expansive collection sold so well that the president of Christie’s sent Nabil Tabbah a personal letter in which he stated “since the famous sale of Mouna Ayoub in November 1996 in Geneva, we have found that jewels signed by Tabbah are greatly sought after by collectors throughout the world”. Tabbah’s clientele largely consists of affluent personalities, collectors and royalty from around the world, and the company’s customer circle widens mostly through appreciative word of mouth. That might be what led HSH Princess Charlene of Monaco to solicit House of Tabbah in 2011 for a bespoke piece that was later designed by Nagib and crafted in Beirut. She wore the famous ‘Infinite Cascade’ necklace on the evening of her wedding ceremony to HSH Prince Albert II of Monaco. But although House of Tabbah gets much gratification in adorning the excessively wealthy, it does seem desirous of introducing its craft to a wider audience away from loud advertisement. That is why in 2014 it opened its jewelry salons on Allenby Street in the Beirut Central District here in Lebanon. “Some clients aren’t aware of the bespoke jewelry possibilities. In our boutique, they are exposed to limited series that reflect House of Tabbah’s craftsmanship and creativity. The presented range of jewelry will allow them to imagine what they can design for themselves.” asserts Nagib. 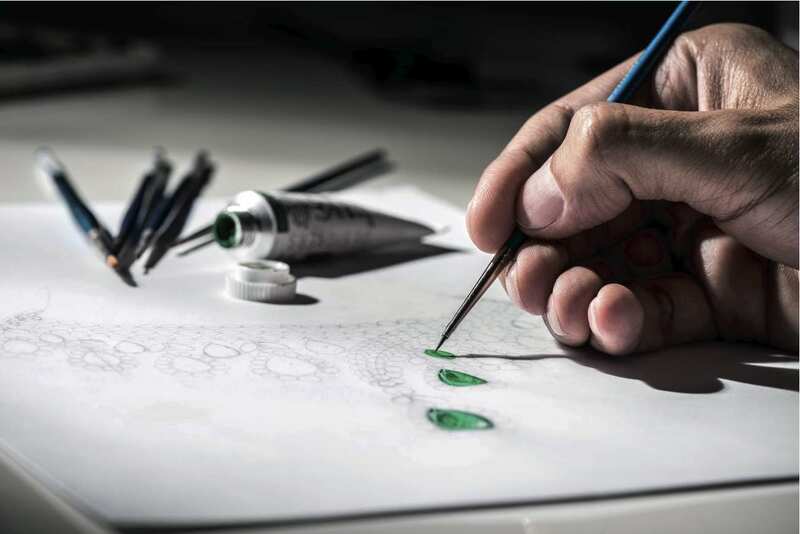 Beyond high-end jewelry, House Of Tabbah had also been working with jewelry timepieces since the previous Nagib Tabbah started designing watches to be manufactured in Switzerland back in the 1950s. Over the years, the House represented prestigious Swiss luxury watch manufacturers such as Piaget and Vacheron Constantin, before becoming independent in the 1980s. That is when they started creating their own watches, the first of which was the ‘Saga’. Many series came after it and were mainly sold in Japan. Now a new project has begun with the opening of an office and the creation of a subsidiary of Metiers d’Art in Geneva, Switzerland. House of Tabbah is designing and locally crafting complete prototypes that are later sent to Geneva for execution. Every element of the watch is selected from some of the best Swiss manufacturers before being artfully assembled into a signature Tabbah watch. Yet the most interesting part about this venture is the fact that clients will be given the opportunity to customize their watch by changing most elements aside from the case. People are constantly seeking ways to differentiate themselves and stand out from the crowd. That is why nothing trumps personalization. And as most businesses steer away from that hassle, some have it in their blood and remain appreciative of that art. House of Tabbah is one of them.